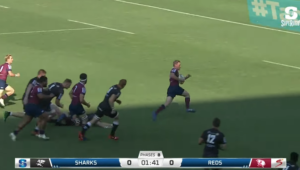 Sharks coach Robert du Preez bemoaned his side’s poor start against the Bulls in Pretoria on Saturday. 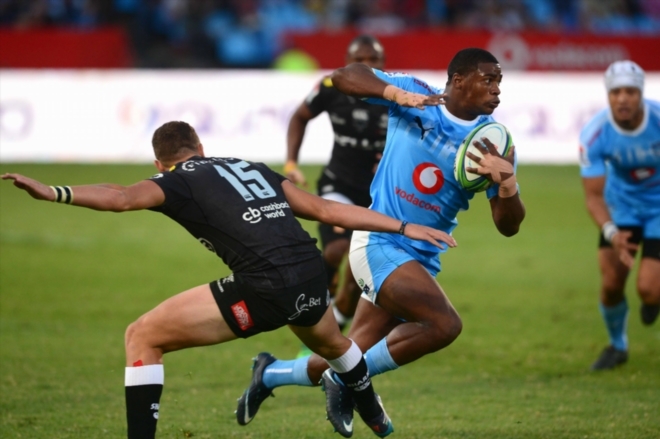 The Sharks, who lost the game 39-33, thought they had taken an early lead with a try from fullback Curwin Bosch, only for it to be disallowed and Bosch yellow-carded for a trip on the Bulls’ Warrick Gelant earlier in the movement. 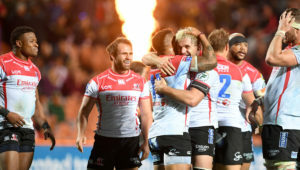 The Bulls opened up a 17-point lead while Bosch was off the field and Du Preez said that made winning the game all the more difficult for his team. ‘It was very costly,’ Du Preez said. ‘Our discipline let us down early on in the game, to go 17 points down. With a deficit like that, it was always going to be difficult to come back. ‘I also thought our exits weren’t great early on, not kicking out three balls. So that wasn’t a great way to start. 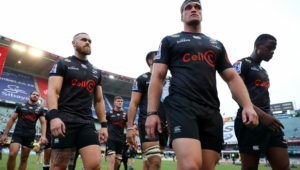 Du Preez insisted the Sharks, who are 10th on the overall log, still have an opportunity to make the quarter-finals.